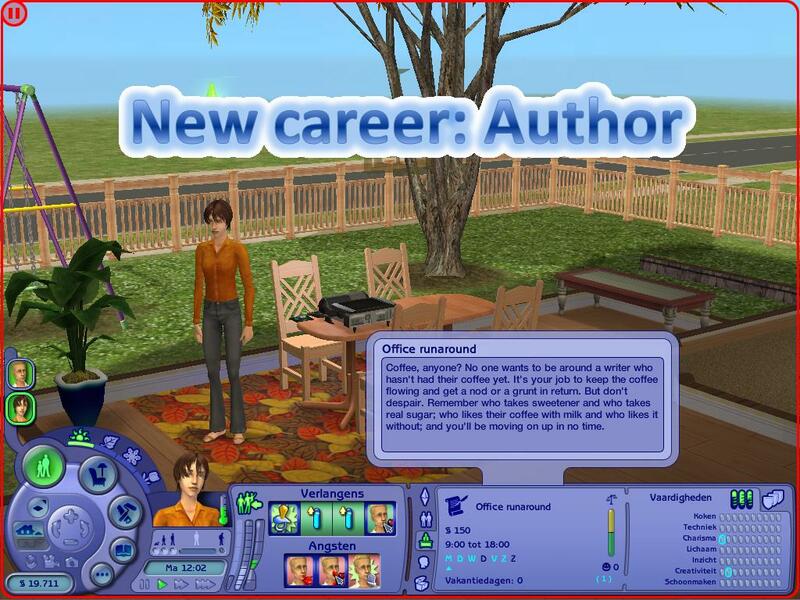 As I do take requests, Alicey requested the career Author. Description Coffee, anyone? No one wants to be around a writer who hasn't had their coffee yet. It's your job to keep the coffee flowing and get a nod or a grunt in return. But don't despair. Remember who takes sweetener and who takes real sugar; who likes their coffee with milk and who likes it without; and you'll be moving on up in no time. Description Behind every great novel there is an editor. Behind every editor, there is someone like you. It is up to you to check an editor's work for mistakes. Maybe they ran out of coffee and missed a few erroneous apostrophes. Maybe they just didn't dot the Is or cross the Ts. Keep a beady eye, or your job is on the line! Description After voicing a few creative ideas of your own to your boss, you've been bumped up to thinktank! You work one-on-one with the authors in the publishing house, inspiring fresh ideas when writer's block strikes. Sound glamorous? Actually, prepare to take a lot of abuse from authors you've offended and receive no credit for your ideas. But hey, you want this! Description A mistake at the printing press leads to one of your novels being published in your name, not the author you've been ghost writing for! Its sales are average, but you can live with that. A big bump in your pay check and your name on the shelves at last more than makes up for that. Who knows, maybe sales will even pick up. Description Sales may have been average for your first novel, but your second is selling well. You have your own editor now and he's already demanding a sequel. Last week you received your first fan mail. Your reviews are good and your name is becoming more widely known. Make friends in the right places and you may find more work on your hands. Description Isn't it a great feeling to create well-loved characters? 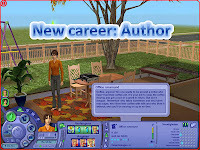 With multiple novels under your belt, you are now almost a household name. Your perfectly-crafted characters are either a blessing or a curse, because now you're expected to write sequel after sequel. Keep at it, and expect to sign a few autographs here and there. Description Some might say you sold out, man. You would say they're jealous, and you'd be right. With royalties pouring in from your works and fan-fictions based on your characters appearing all over the internet, it's safe to say that you're number one. Technically your books are still ranking number two to three on the bestseller list... ...but everyone knows, you're number one. Description The Nobel Prize for literature... Awarded to only those who have made outstanding contributions to the literary field, and now your name is on that list. You've really made it now. Your name and your work will live on for centuries. You mostly work from home now, writing as much or as little as you want to gain extra income. It doesn't get any better than this!